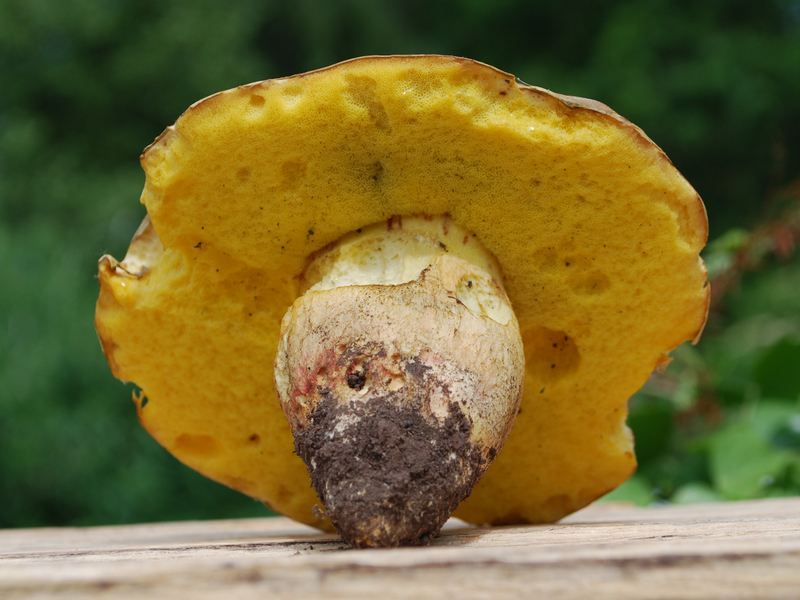 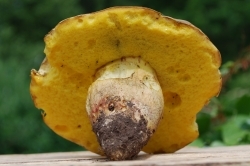 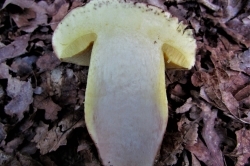 The Butter Bolete, Butryboletus appendiculatus. 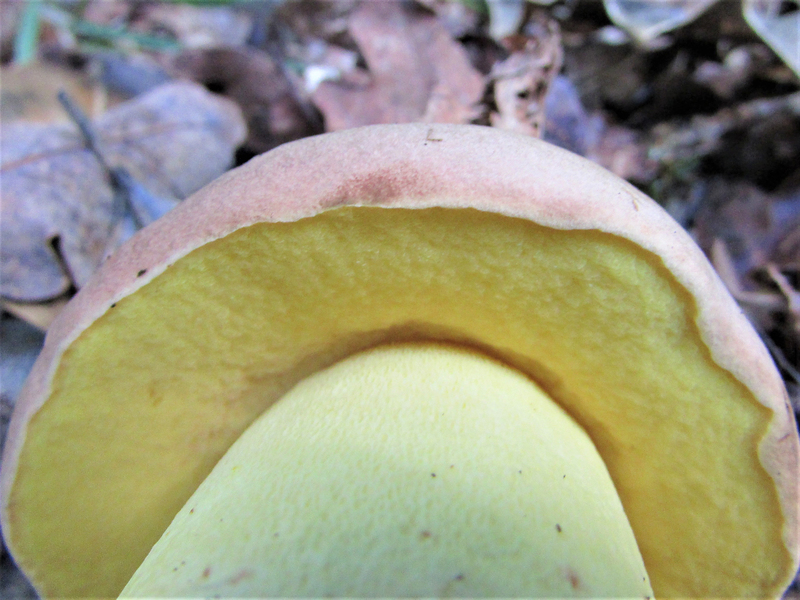 A great and usually large mushroom, almost as good as the Penny Bun with a firm texture. 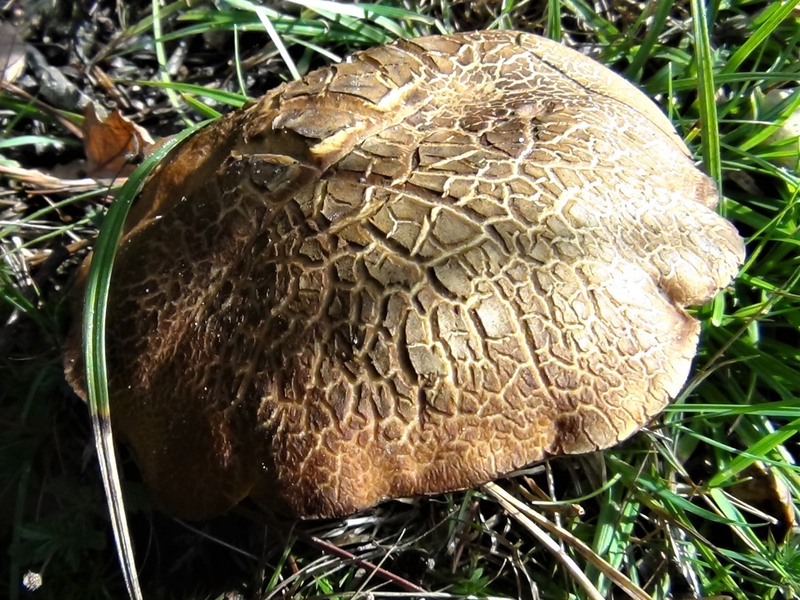 Rusty to red brown or sometimes lighter, often irregular, sometimes has a ‘cracked’ skin especially near the centre. 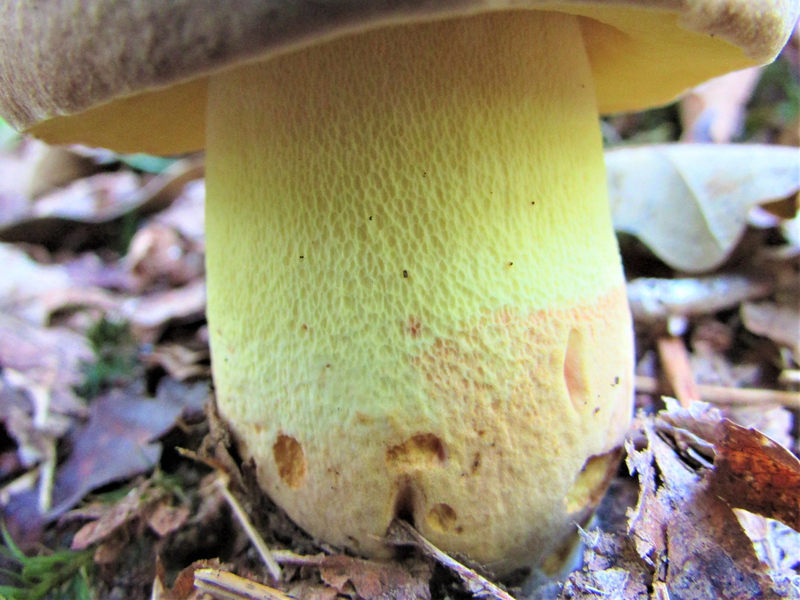 Lemon yellow, tight sponge like pores that darken a bit with age. 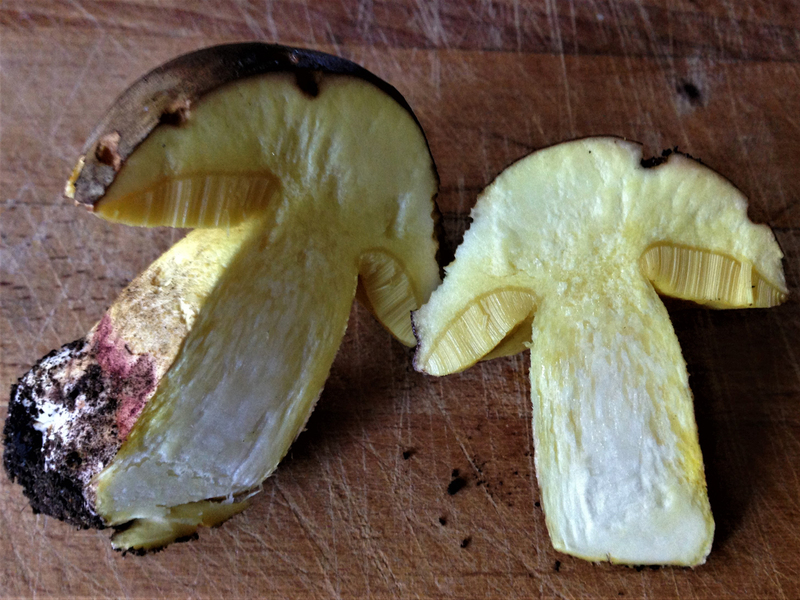 These will bruise to a blue colour. 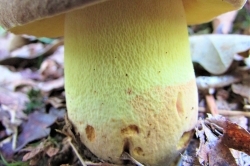 Straight or clavate, club shaped, lemon yellow at the top with yellow reticulation, (a mesh or net like covering) then usually a change to a pale orange to red towards the base. 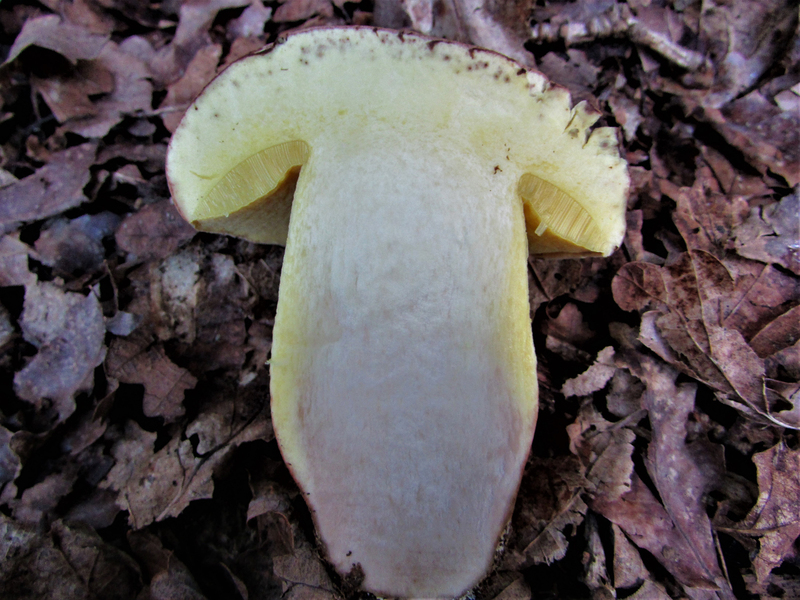 White to pale yellow. 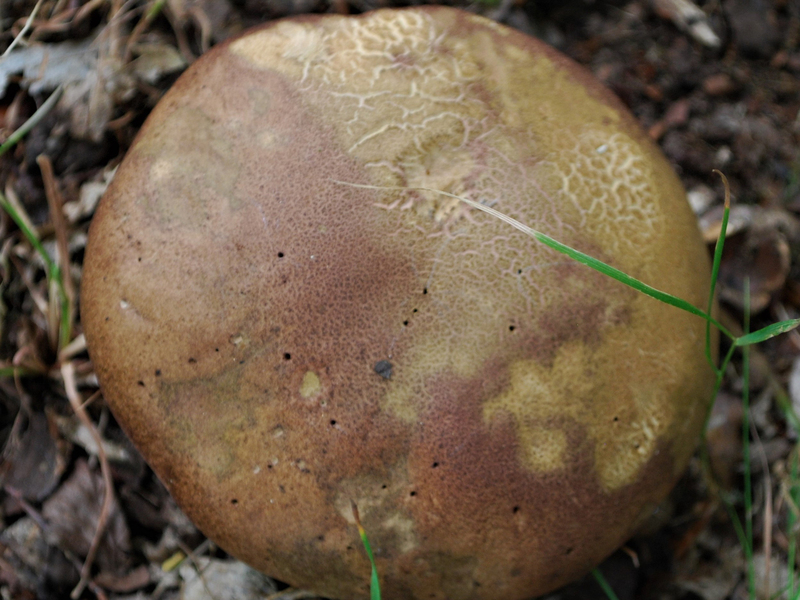 Turning blue when cut, the base bruising rusty brown. 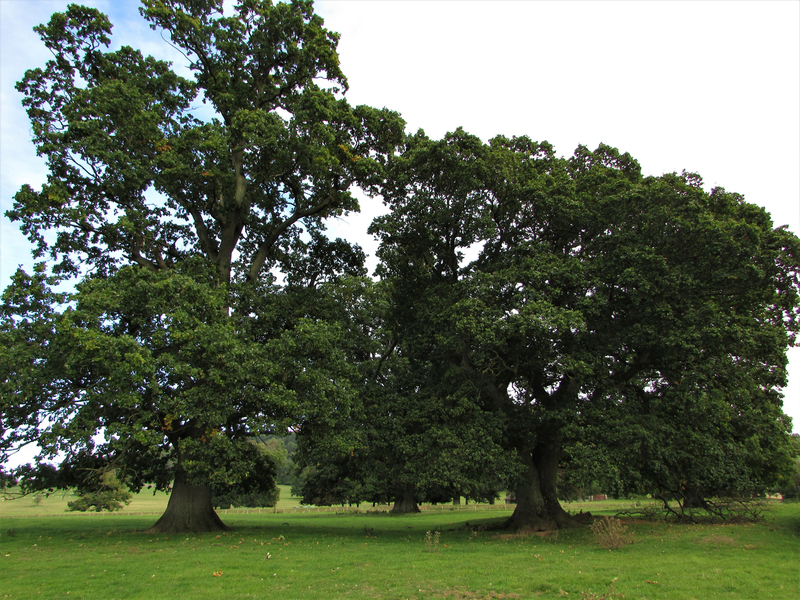 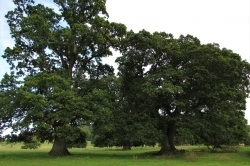 Mainly around Oak but will grow with other deciduous trees. 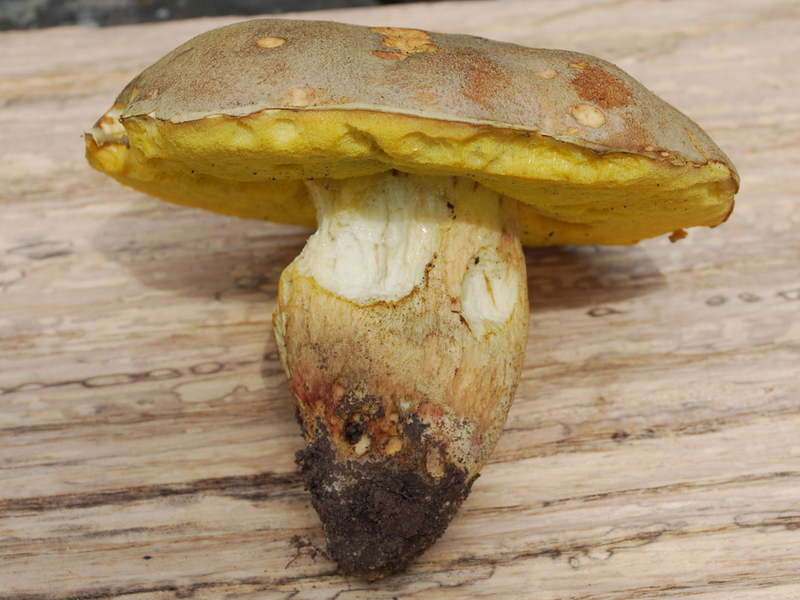 Other Boletes. 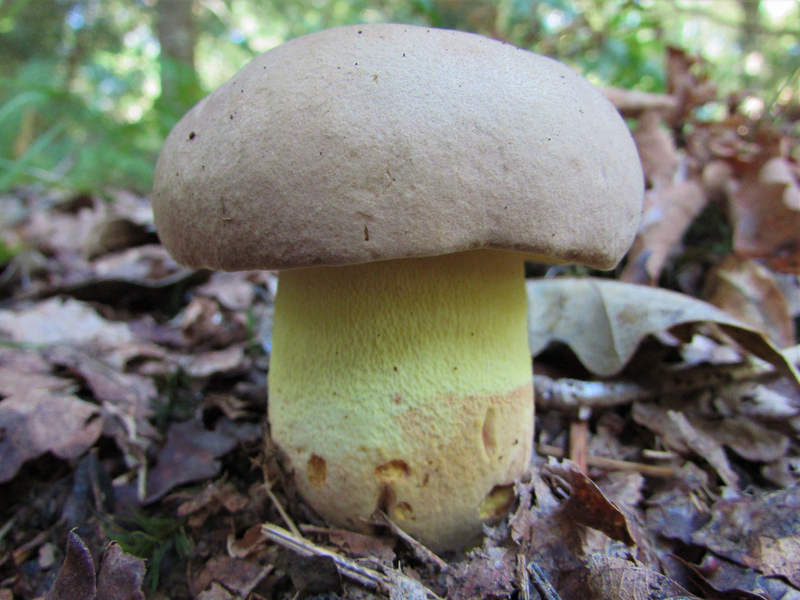 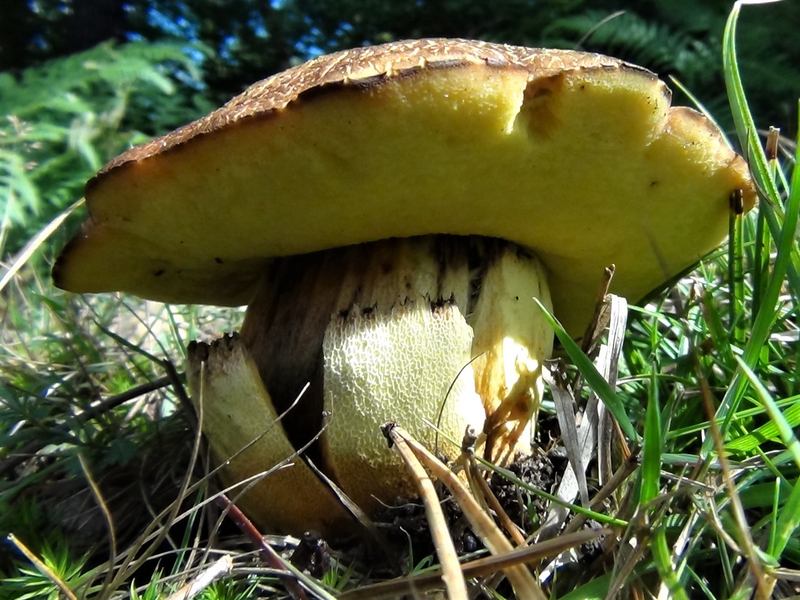 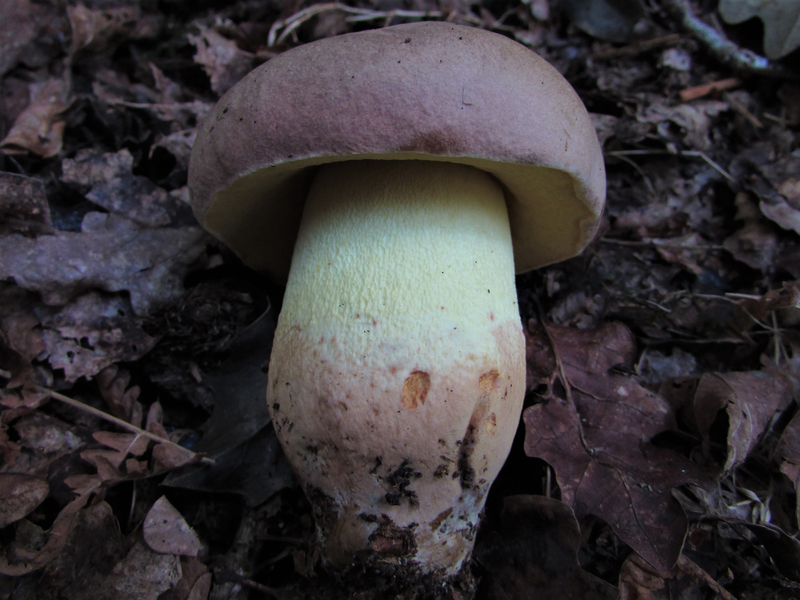 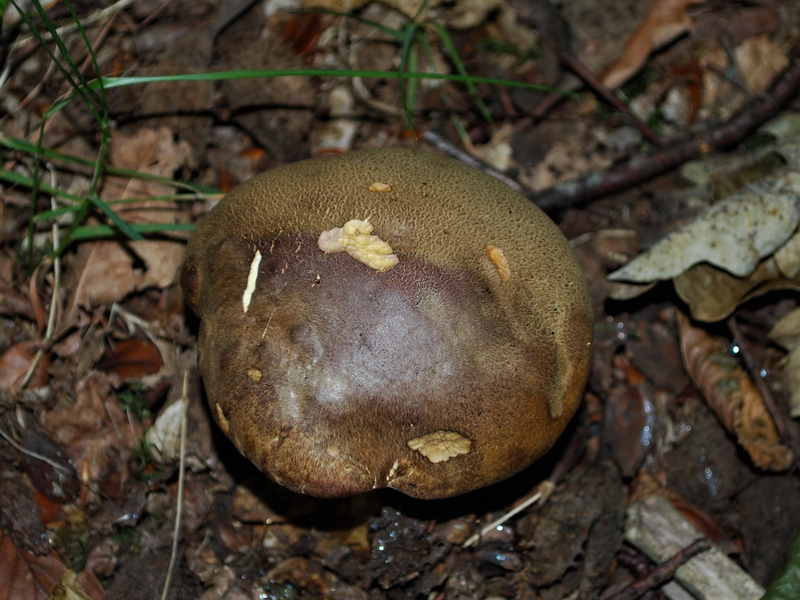 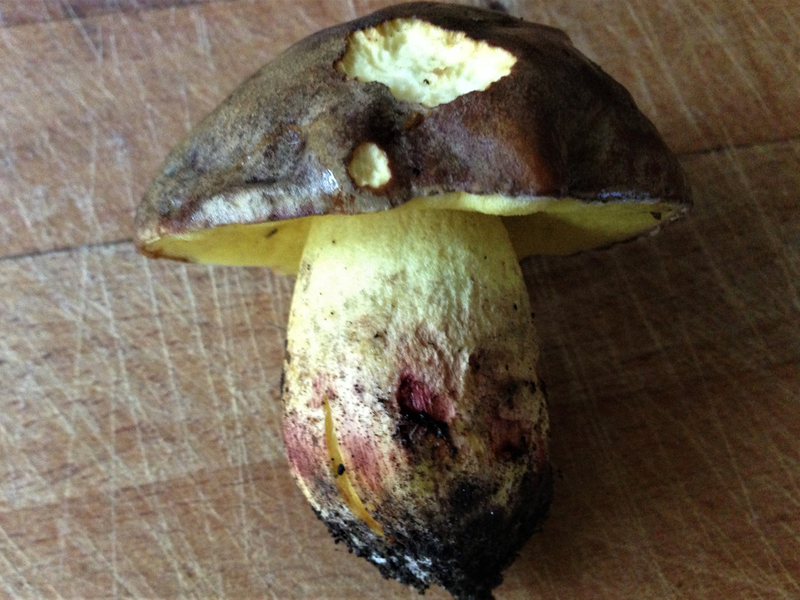 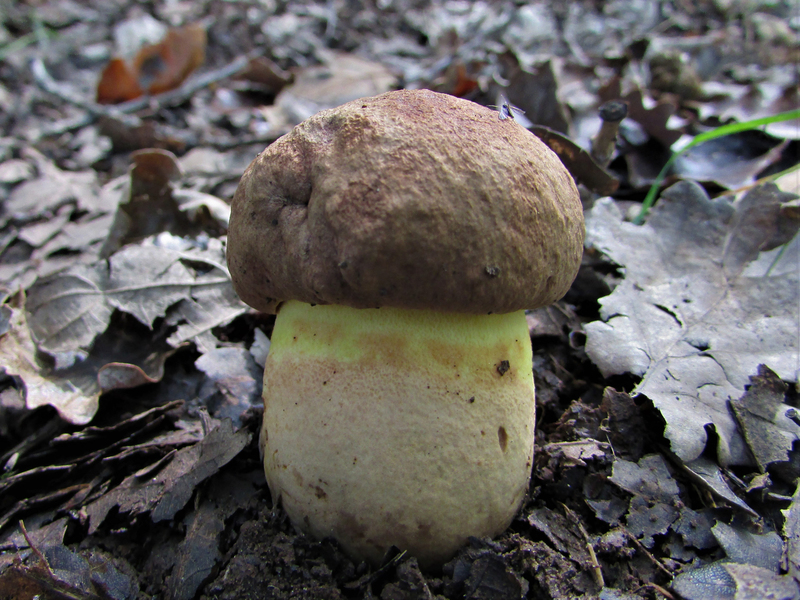 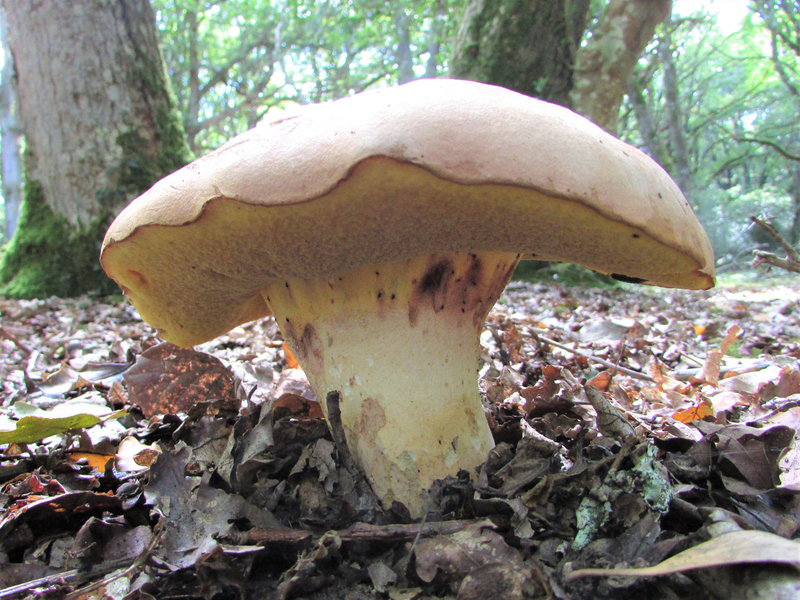 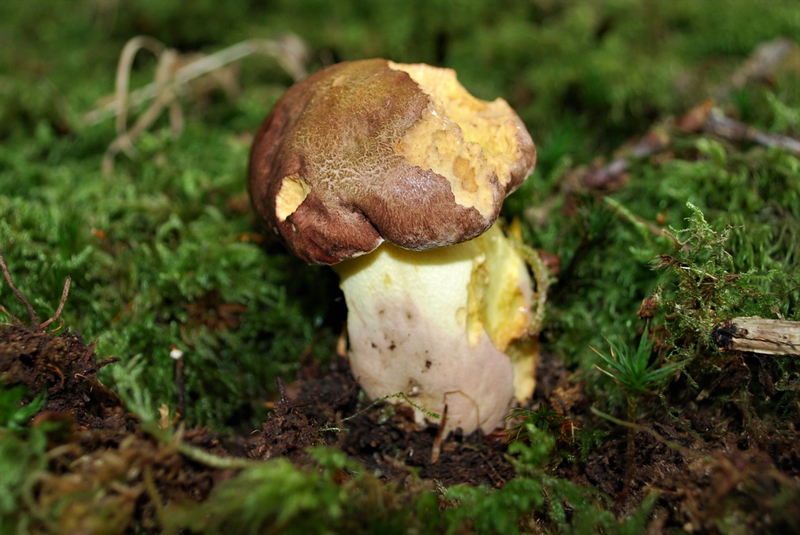 Although the Oak Bolete is quite distinctive care should be taken when trying to identify this mushroom as it breaks the simple edible rules for Boletes (if a bolete has red on it anywhere, do not eat it and if it stains blue when cut, again, don’t eat it). 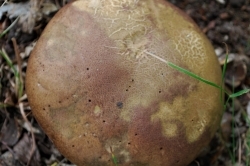 Believed to have found one last week. 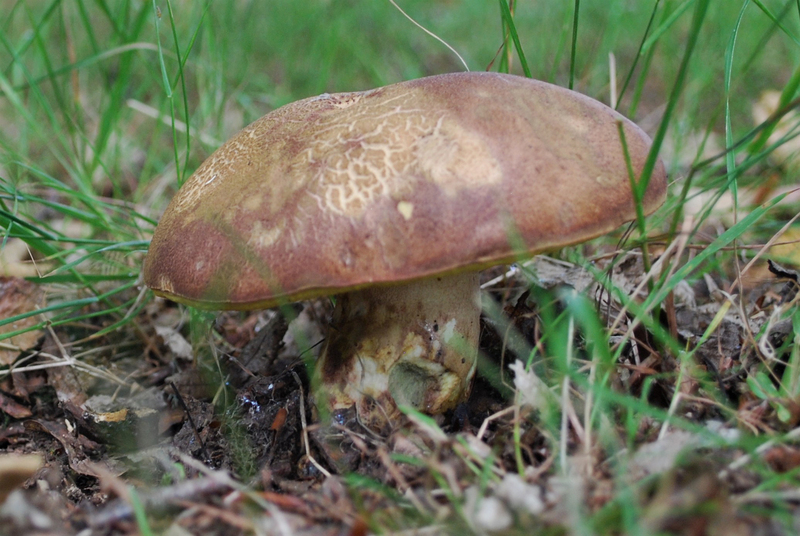 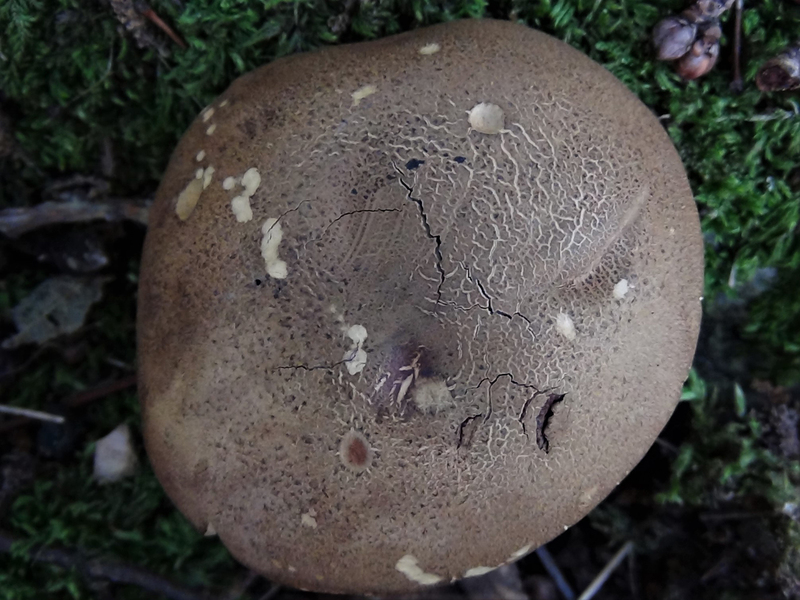 Please only eat them if you are 100% sure that you have a Butter Bolete.